B.S. 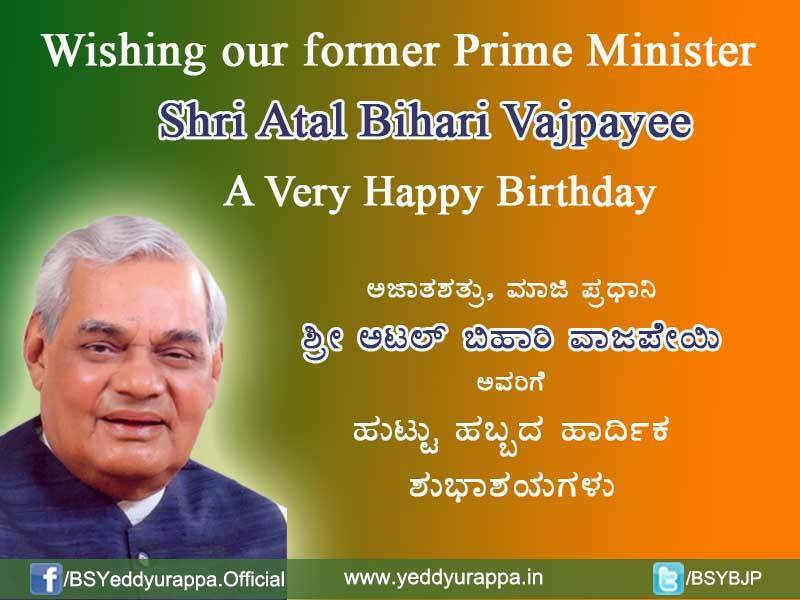 Yeddyurappa > BSY's Photos > Wishing our former Prime Minister Shri Atal Bihari Vajpayee A Very Happy Birthday. Wishing our former Prime Minister Shri Atal Bihari Vajpayee A Very Happy Birthday.